The long-term approach of the European System of Central Banks (ESCB) and its Statistics Committee (STC) to collecting data from banks aims to standardise, harmonise and integrate existing ESCB statistical frameworks, as far as is possible, across domains and countries. The main objective of this approach is to increase the efficiency of reporting and to reduce the burden for banks, while continuing to provide users with high-quality data. This approach relies on clearer concepts, definitions and requirements, which would help automate data processing and enhance data quality. One element of this strategic approach – the ESCB Integrated Reporting Framework (IReF) – aims to integrate banks’ statistical reporting requirements. The other element – the Banks’ Integrated Reporting Dictionary (BIRD) – aims to help reporting agents efficiently organise information stored in their internal systems and fulfil their reporting requirements. This strategy is supported by the ESCB’s previous work, which focused on bridging the reporting frameworks of the ECB and the European Banking Authority (EBA) from a methodological perspective. The ESCB and the banking industry have worked together to produce the BIRD, which provides banks with up-to-date reference material to help them produce statistical and supervisory reports. This initiative was launched in 2015 and its documentation is freely available to all interested parties, who may decide whether or not to participate in the initiative. It aims to alleviate the reporting burden on banks and improve the quality of data reported to authorities. The BIRD provides banks with a precise description of the data that should be extracted from their internal systems to generate reports and clearly defined rules for transforming these data in order to comply with reporting requirements. How does the BIRD work? 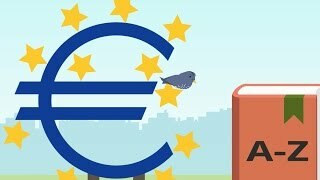 BIRD activities are carried out by an Expert Group from various national central banks and commercial banks, whose work is coordinated by the ECB. These experts analyse reporting requirements addressed to banks and determine the data and related transformation rules required to meet them – a task which would otherwise need to be completed individually by every reporting bank. This, in turn, helps ensure that data reported by banks to authorities are comparable, consistent and comply with the requirements. In addition, the BIRD Steering Group discusses and decides, at least once a year, the roadmap for the next two years, reflecting on new domains to be covered or important endeavours such as the data modelling or testing of the BIRD to enhance its usability. The composition of the Steering Group is similar to that of the Expert Group in terms of institutions represented, with more seniority. The BIRD currently covers the reporting requirements of AnaCredit, the group module of securities holdings statistics and FinRep, while the coverage of CoRep, Asset encumbrance and Resolution planning is under development. In the longer term, if the IReF (see below) is implemented, the BIRD would be associated with integrated data collection rather than with several distinct sets of reporting requirements. This would further increase the effectiveness of the approach. Banks must comply with an increasing volume of granular and complex reporting requirements. The methods used to set out reporting requirements are not fully harmonised, which often leads to redundancies, overlaps and inconsistencies in the resulting datasets, and the approaches used to collect data differ across EU countries. What is the IReF's objective? The IReF aims to integrate the ESCB’s existing statistical data requirements for banks, as far as is possible, into a unique and standardised reporting framework that would be applicable across the euro area and might also be adopted by other European countries. The main focus of the project is on the requirements of the ECB’s regulations on monetary financial institutions’ balance sheet items and interest rate statistics, securities holdings statistics, and AnaCredit. ECB statistical frameworks that do not directly relate to banks’ balance sheet assets and liabilities – for example, the ECB’s requirements relating to payments or money market statistics – do not fall within the initial scope of the endeavour. The approach aims to ensure proportionality through a derogation scheme designed to alleviate the burden for small reporting agents. What are the advantages of the IReF? Integrating existing statistical requirements is expected to help banks with their data reporting, reduce redundancies, minimise the reporting burden and enhance data quality. Consistent and standardised reports across countries may bring additional benefits to banks with reporting obligations in different countries and statistical compilers and users. The ESCB, in close cooperation with the banking industry, has initiated a cost-benefit analysis to assess the impact of the IReF on the supply and demand sides. In particular, the ESCB conducted a qualitative stock-taking questionnaire from June to October 2018 with the objective to support the development of scenarios relating to various aspects of data collection and statistical production. The feedback received from the banking industry on high-level considerations and high-priority technical aspects has been assessed; see the report infra. The feedback submitted on technical questions will be further analysed at a later stage of the process. The qualitative stock-taking exercise will be followed by a cost-benefit assessment questionnaire, which will help identify an appropriate approach for the banking industry and the ESCB to take. The cost-benefit analysis focuses on the statistical requirements that are within the scope of the IReF. References to supervisory reporting requirements were included in the qualitative stock-taking questionnaire to assess the IReF’s overall feasibility and relevance for the stakeholders. The ESCB aims to implement the IReF in 2024-27. However, this will be subject to a review following the results of the cost-benefit analysis. For additional key facts and information on the IReF and how it relates to the BIRD, see the overview document below. Qualitative Stock-Taking on the Integrated Reporting Framework: Analysis of high-level considerations and high-priority technical aspects, February 2019. The ESCB Integrated Reporting Framework (IReF): an overview, February 2019. European Reporting Framework (ERF): Key facts and information, June 2015.